From today we can enjoy the new SEGA game, starring the most famous hedgehog Sonic. 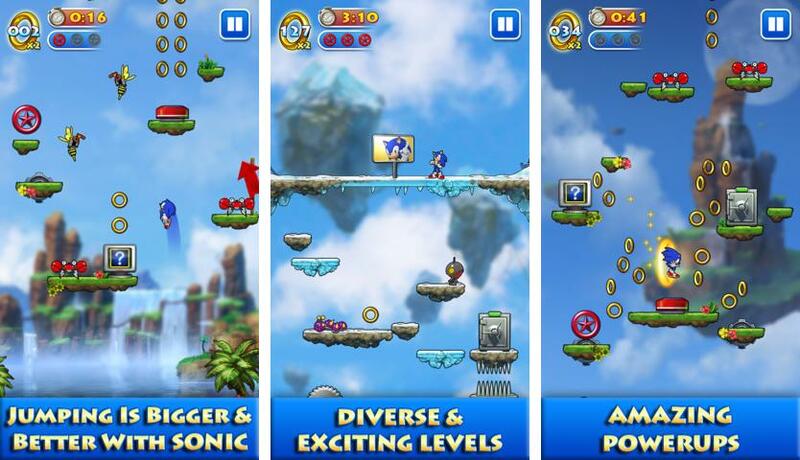 This time, the company launched the game Sonic Jump, governed by the same strategy but with a difference: now played vertically. The goal is to be completing different levels and achieve the highest score jumping, collecting rings and dodging enemies. There are two modes: story mode (where you have to complete up to 36 different levels) and the arcade mode (where you have to jump as much as possible to achieve the highest score). We can choose between some of our favorite characters and those who acquire their unique abilities. In addition, we compete against our friends in arcade mode or save high scores on the Game Center Leaderboard. Without doubt, a must for those small we spent hours and hours playing Sonic conocidísimo front of the television. Available for iPhone, iPad and iPod Touch by 1'59 €. The Mac App Store launches section "Better Together"